Dactylis glomerata (orchardgrass) is an aggressive perennial grass (family Poaceae) widespread throughout California. It grows in any type of soil, is drought resistant, and can overrun-some grasslands. 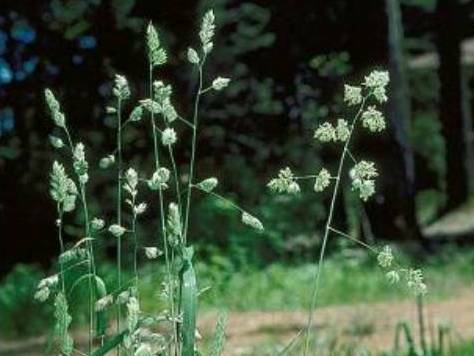 Orchardgrass is a desirable pasture grass but has escaped cultivation in many natural areas throughout the United States.